The MST1500VD tracked dumper is renowned for its ability to go anywhere thanks to its large 6-cylinder Cummins engine, and the excellent power to weight ratio specification. 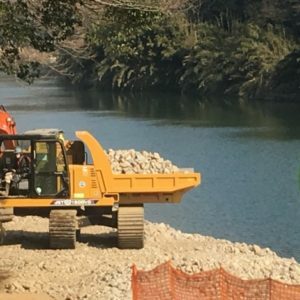 In fact, many civil engineering projects request this machine because it keeps going when other wheeled soil-shifting machines get stuck, and simply gets the job done in spite of its surroundings. 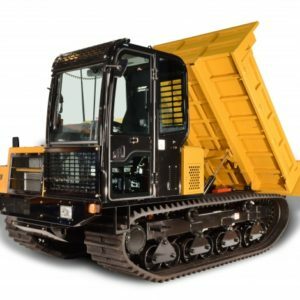 Therefore, this tracked dumper keeps the building project firmly on track against time and weather limitations. 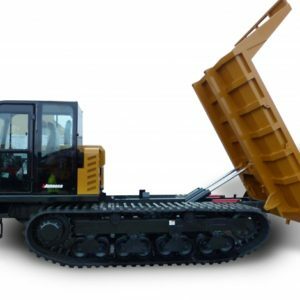 The 7-tonne payload makes this crawler carrier a real muck-away mover; however, it is very light on top of the ground meaning it makes as little disturbance as possible to the ground surface. 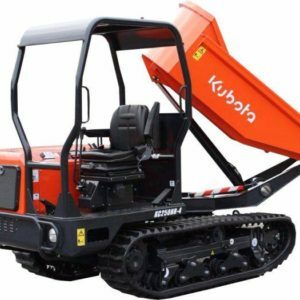 For comfort and safety, the operator has a fully insulated cabin with ROPS safety and a suspension seat and heater with air conditioning as standard. The rear mounded tail gate with an auto locking system comes standard and we offer a choice of a three way opening body that has drop-down sides or a rock body with fixed sides. Both options have a high front board to protect the cabin from damage during the loading process. 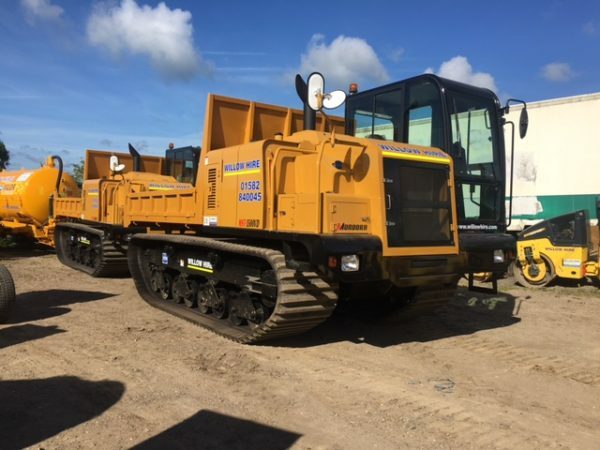 The strong two speed undercarriage is supplied with 700mm wide rubber crawler tracks and they are driven in turn by a hydrostatic system. Track tension is maintained by a grease cylinder and this is protected by an enormous spring that will offer track relief if any foreign object enters the track area.